After over 50 years of use, TGE’s Client planned to decommission this retired oilfield pipe storage and repair yard. The facility had been leased and properly “licensed” for Naturally Occurring Radioactive Materials (NORMs) contamination/impact under Louisiana law. Under strict Department of Environmental Quality (DEQ) compliance oversight, and even stricter terms of the lease, full and complete NORMs removal would be required. 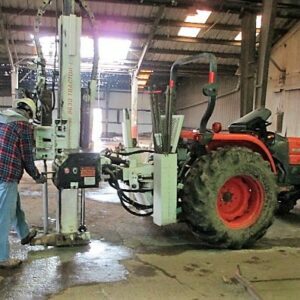 During the work, TGE learned that progressive construction over the term of the lease had involved the use of impacted materials (scale) to build up newer building pads. TGE executed comprehensive due diligence to understand the facility’s use history; conducted detailed NORM screening throughout operational areas of the facility, and collected and analyzed soil samples to comply with the pre-remediation/DEQ-approved closure plan. Once impacted material had been confirmed beneath portions of site buildings, the buildings would require demolition to allow remediation (access) to the waste. 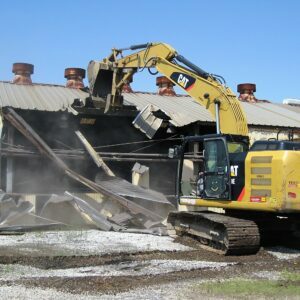 With TGE’s depth of service capability, expedited asbestos survey and pre-demolition removal was performed, followed by demolition of the structures and removal of the building pads. 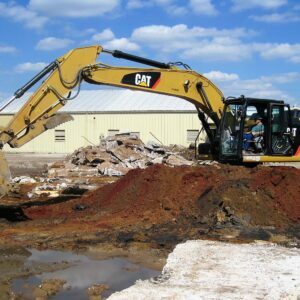 Once the NORM waste was quantified, TGE managed turn-key excavation, waste profiling, transportation, disposal, confirmation sampling, and agency approval to retire the facility’s NORM license. The waste involved in excess of 2,100 cubic yards of NORMs waste from 17 affected areas. Successful execution of a DEQ-approved NORMs remediation work plan, lease compliance following over 50 years of client use, and full compliance with Louisiana statute, which resulted in documented “release for unrestricted use” designation for the site and closure of the site’s NORM license.